Bowmore School Council, in partnership with the teachers and staff, invites you to participate in the Pizza Lunch Fundraiser. Profits raised are used by the School Council to enhance student education by contributing to the cost of initiatives such as Scientists in the School and Prologue Theatre. The dates selected for the remainder of the school year are: Friday, February 22, Friday March 22, Friday April 26 and Friday, May 24. 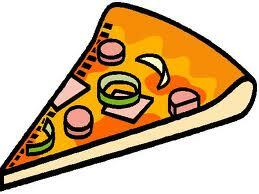 We offer cheese pizza from Pizza Pizza and (250ml) regular or chocolate milk. Lunch includes a complimentary fruit. The pizza is served on napkins. Students should provide their own plates, if desired. If you wish to participate, please complete the Pizza Lunch Order Form and return with payment to the student’s teacher by Wednesday, February 6. We accept cash or cheques made payable to “Bowmore School Council”. If you have any questions or wish to volunteer to help with the Pizza Lunch Fundraiser, please email bowmoresc@gmail.com or leave a note with the School Office.